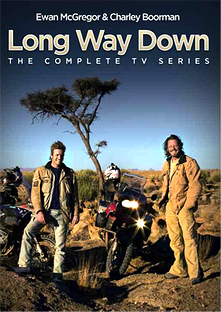 Three years after circumnavigating the globe together in the famed series Long Way Round, Ewan McGregor and Charley Boorman undertake another overland motorcycle adventure, this time from Scotland to South Africa. Riding from John O'Groats, the most northerly point in Scotland, and ending at the most Southerly point in Africa, they passed through 19 countries during the 15,000 mile expedition. Riding through spectacular scenery, often in extreme temperatures, they face their hardest challenges yet. With their trademark humor and honesty they tell their story - the drama, the dangers and the sheer exhilaration of riding together through a continent filled with magic and wonder. On their incredible journey their endurance and friendship are tested to the limit.